Steam through the charming Fathew valley in Snowdonia National Park. 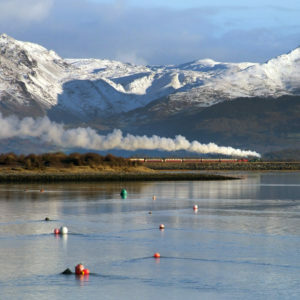 Enjoy glorious coastline, ancient woodlands, mountains, waterfalls and a viaduct. 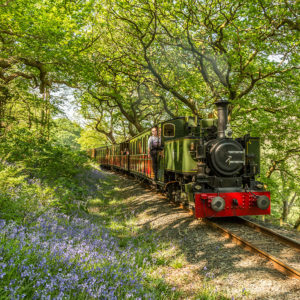 Relax and enjoy the stunning scenery of Southern Snowdonia, stepping back in time to enjoy the 14.5-mile round trip, which has been running along the same route since 1865. 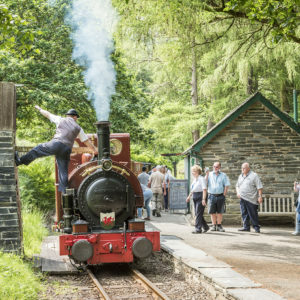 As the world's first preserved steam railway, they know all about making journeys special: even a short trip on the Talyllyn will help you unwind – so much so, you will want to do it all over again. 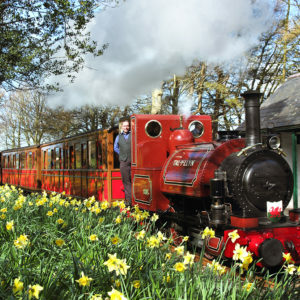 The Talyllyn Railway starts from Tywyn on the Mid-Wales coast, halfway between Barmouth and Aberystwyth on the A493 road. Opened in 1865, the line, a narrow-gauge railway powered by steam locomotives, was built to carry slate from quarries in the hills. The quarries closed in 1946 but the daily passenger train carried on. 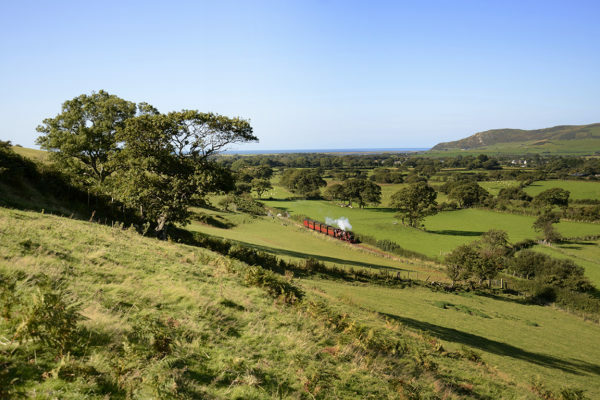 In 1951 the railway was taken over by the Talyllyn Railway Preservation Society, the first such in the world, and it is the volunteer members of the Society together with a small dedicated full-time workforce who run the Railway today. 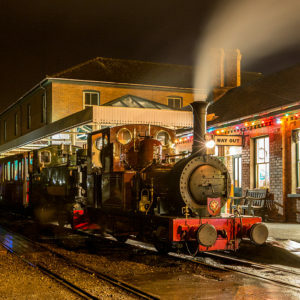 The original two Victorian steam locomotives and four passenger coaches are still in regular use, together with others which have been built or acquired over the years. The original Victorian train which opened the line runs on selected Thursdays, and this trip includes a personal tour guide. 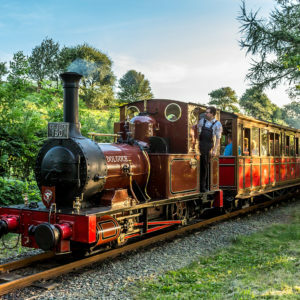 The stations are at Tywyn Wharf (connecting to the Cambrian Coast Line), Pendre, Rhydyronen, Brynglas, Dolgoch Falls, Abergynolwyn and Nant Gwernol. 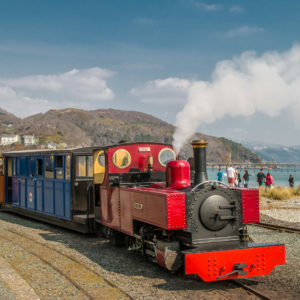 Refreshments are available at Abergynolwyn, and at Wharf station there is a licensed café, well-stocked gift shop and the Narrow Gauge Railway Museum (free entry to site). The nearest mainline railway station is Tywyn, on the Cambrian Coast line, operated by Transport for Wales. Tywyn, the Talyllyn’s main terminus, is located on the Cardigan Bay coast of Wales, between Aberdyfi and Barmouth, approximately 30 miles north of the university town of Aberystwyth. Car parking is available across the bridge over the mainline railway. (Please note this is a council operated car park and the costs is £1.00 for every 4 hours – coins only. Other charges apply for coaches).